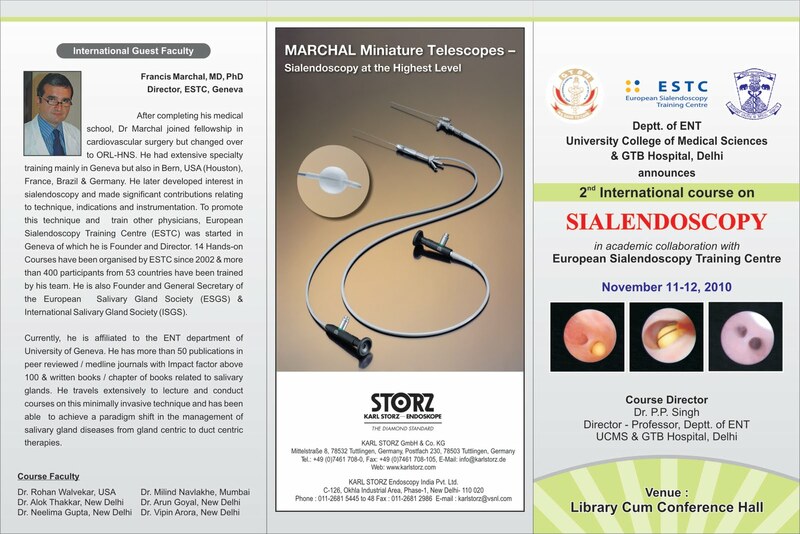 We are pleased to announce an “International Course on Sialendoscopy" in academic collaboration with “European Sialendoscopy Training Centre” at University College of Medical Sciences & GTB Hospital, Delhi. Sialendoscopy is a new and cost effective technique to treat salivary gland diseases with minimum morbidity and complications. 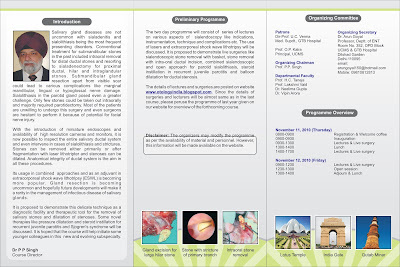 The course will detail the indications, instrumentation and technique relating to sialendoscopy. 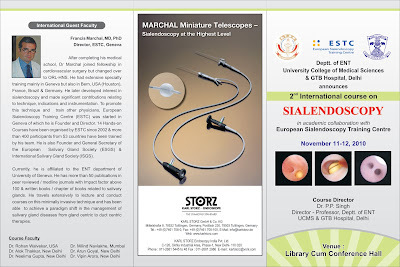 More deatails can be viewed at our website.